There is a significant part of my "tea life" that never makes it onto these pages, merely because it is such an integral part of the background radiation that exists behind the pulsars and quasars of pu'ercha. 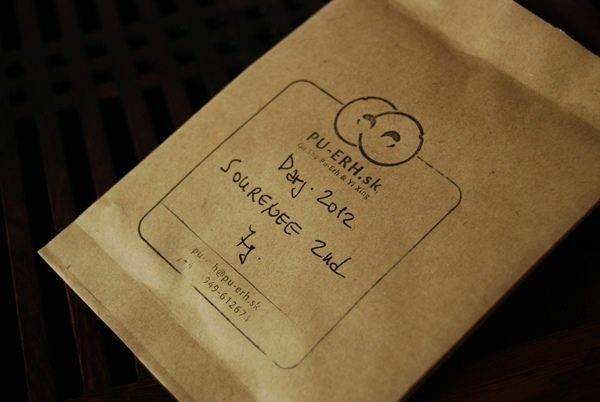 A recent package from Peter of Pu-erh.sk (thanks again) gives me the opportunity to write about that background activity: Darjeeling. Darjeeling is often referred to, in those Western books on tea that exist (all of which are entirely horrific and need to be pulped by their publishers) as being the "champagne of teas". This is a disservice to both champagne and tea, but suggests that the writer is aiming to say that Darjeeling is, in some sense, refined. A quest for "refined" tastes is doomed to failure, and is more than a little pretentious. Darjeeling is so much better than that. Peter's Darjeelings are three, and this Makaibari is the first and best. It is also the only first-flush Darjeeling in his trio, whereas the others are second-flush. 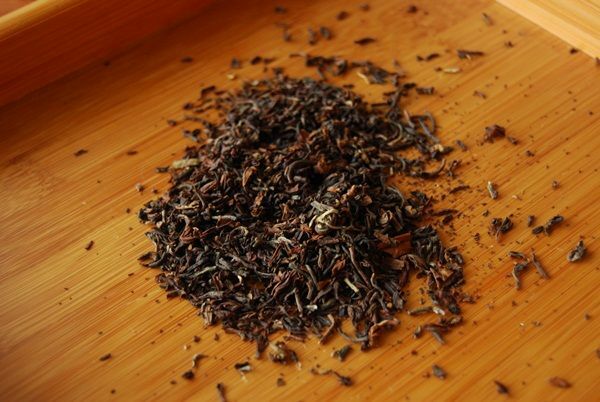 The distinction in Darjeeling is perhaps not as enormous as with pu'ercha; the difference between spring and autumn crops in pu'ercha can be marked: springtime leaves are vivid and powerful, autumnal leaves are usually more easy-going, fruity, and less potent. 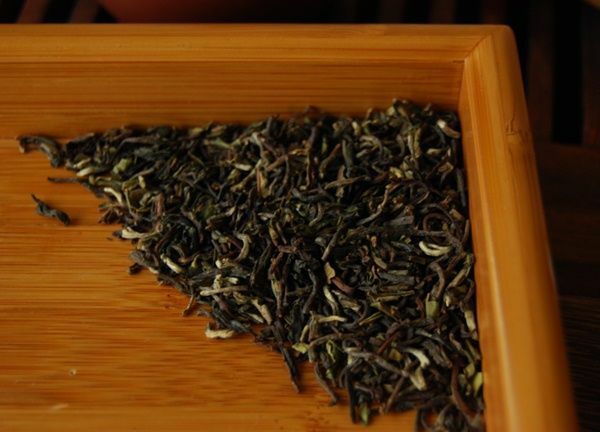 With Darjeeling, some of this is true: first-flush leaves are usually more vivid and, I think, more complex; second-flush teas are often a little lighter. 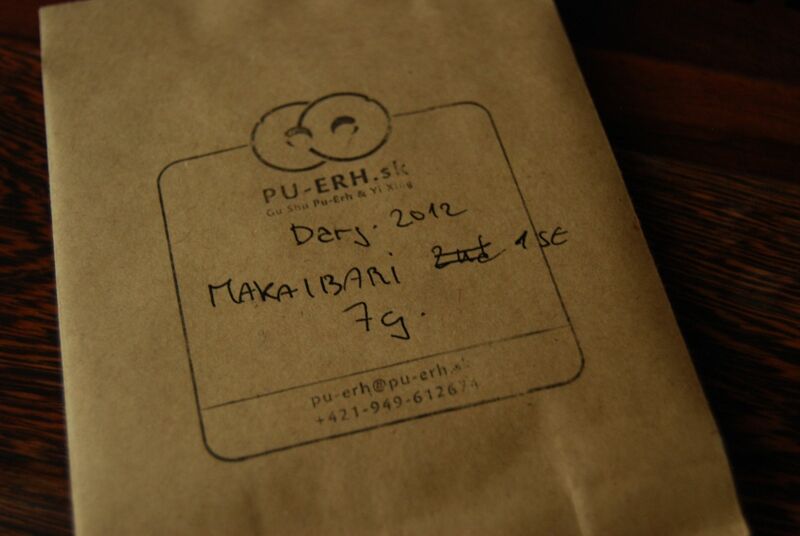 The Makaibari is seriously delicious Darjeeling which I enjoyed hugely. At 6.90 Euro / 50g, it is nicely priced. Some of this reasonable pricing should be attributed to the grade: I recall from the web-page that all three teas are listed as "SFTGFOP", which is the very highest grade of Darjeeling (or "seriously far too good for ordinary people"). While the leaf quality is there, you'll see from the photographs of all three of these teas (two of which I tried today) are really very broken; they should therefore be some derivative of FBOP (flowery broken orange pekoe), for which the prices are considerably depressed with respect to those for actual FOP (flowery orange pekoe). You lose quite a bit when the leaves are almost entirely halved or quartered, including endurance. That comes through in the brewing of this tea, where it runs out of steam after a half-dozen or so infusions; however, the quality of the leaf is clear, and makes for a rather thrilling set of brews while the leaves can hold up to it. This Makaibari is a very complex example of Darjeeling, and contains the whole spectrum of chocolate, malt, honey, and sugar-sweetness, drenched in a heavy overcoat of wildflowers. It is not too fanciful to write so, I maintain, because the entire body feels like heather and lavender. It is quite a magnificent little tea. It is also a much more mainstream Darjeeling, that does not scale the heights of the Makaibari, and made for an excellent comparitor. This is very typical "everyday" Darjeeling, with a good range of maple and muscatel, although presented in a much lighter soup courtesy of its second flush. After seven or so infusions, it continued to doll out enjoyable jugs of pinewood sweetness, with some subtle flavours of good honey. I would take the Makaibari any day of the week, however, and am beginning to look longingly at the product web-page, which is a sure sign that I will be getting some soon, for consumption in meetings, where its quite high caffeination will keep me awake (as is typically my problem in meetings). Thanks again to Peter for the introduction to these very enjoyable Darjeelings. Interesting. For me the difference between first flush and second flush (or spring and autumnal) is huge. 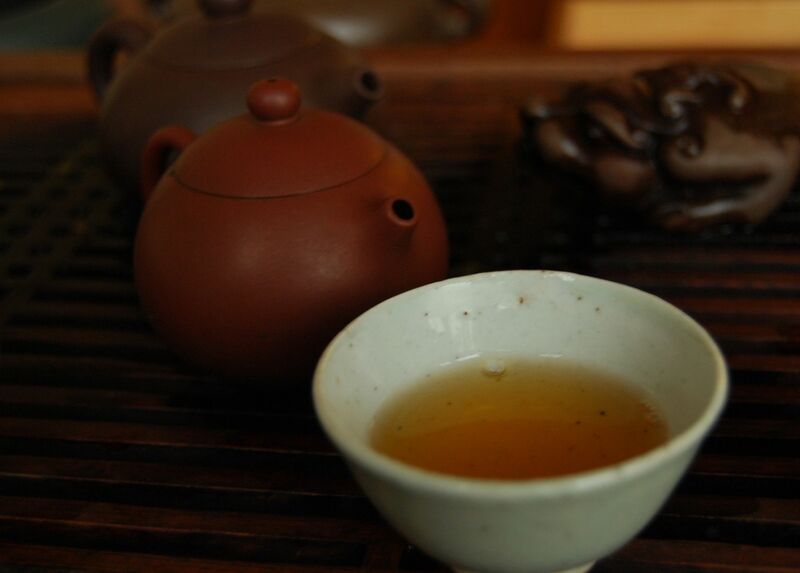 While the first flush leaves are more close to green tea, the second flush is related to red tea. I suppose the difference depends a great deal on the processing. 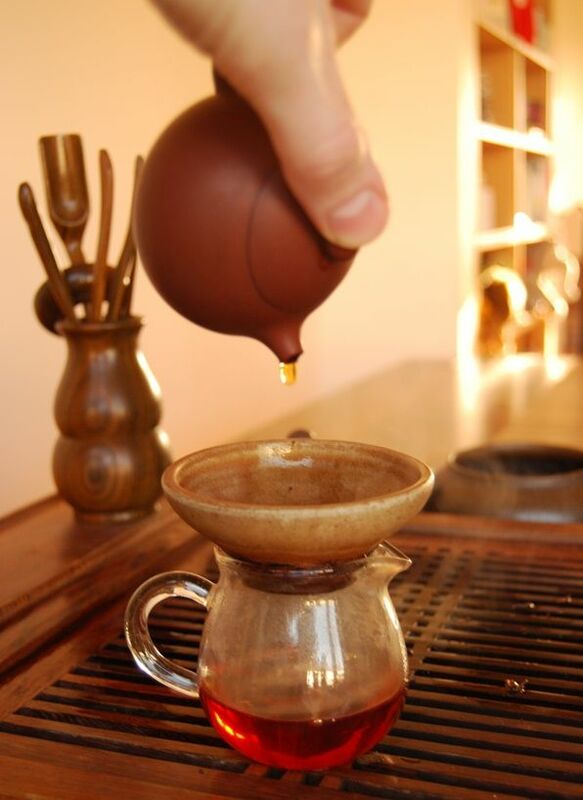 Most traditional Darjeelings are totally hongcha'ised, no matter which flush - they are red tea, after all. The tendency to "greener" versions is a modern innovation and one that I rather welcome. There is always space for more varieties of tea. Some estates tend to produce more "green" varieties, but there is an independence between green/red processing and flush, of course - we could make the second flush "greener" than the first, just by processing it a little less (i.e., letting the leaves oxidise less). Perhaps you mean that the character of the first flush is closer to that of green than the second flush; I can certainly agree with that, processing being equal between the two, given that there is often more complexity and freshness to a first flush. I'm rather in the mood for Darjeeling, after replying to your comment!